Sleep easy in comfort and style. Our large selection of beds ranges from divans to framed bedsteads. 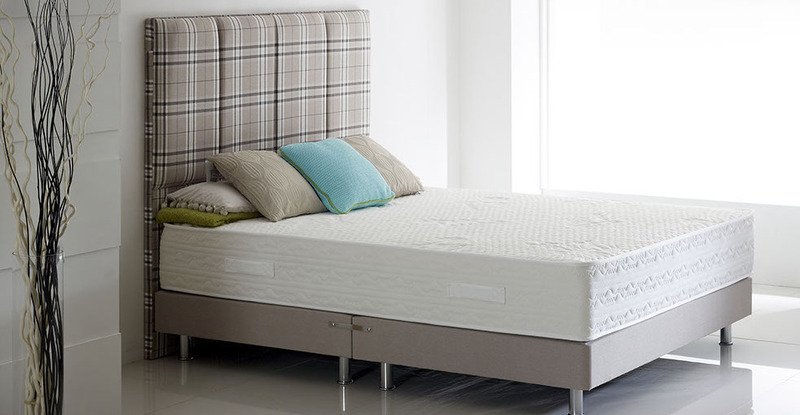 We stock many popular brands such as Highgrove, Slientnight and Sealy. Our most popular lines are available for immediate delivery and we can also offer uplift of your old bed helping you to sleep easy. Highgrove is one of the UK’s fastest growing bed brands and we currently produce approx. 5000 beds a week from our new manufacturing plant in Liversedge, West Yorkshire – one of the biggest and most modern in Europe. We are a privately owned, family business that has total commitment to providing our customers with the widest choice of sleep products and the highest levels of quality and value. Our Fastersleep express delivery service, means that 98% of stockists receive their deliveries within 7 days of order utilising our own distribution fleet of more than 20 new delivery vehicles. Consumers can purchase Highgrove beds and mattresses nationwide, at many of the UK’s leading bed retailers and we recommend that you visit your local store for expert advice. Your bed isn't just the place where you sleep, it's the centrepiece of your bedroom. At Silentnight we offer a wide range of beds and mattresses, from single to king size, divan beds with different storage options and a choice of mattresses including pocket sprung and memory foam to suit your comfort preference. Add a comprehensive range of quality headboards, bedframes, pillows and duvets and you have the secret to a great night's sleep - for the whole family. The more sleep Bed Collection has been designed to provide consumers with the very best choice of sleep-comfort and exceptional value. Available in a wide range of sizes and base options - with quality guaranteed, we’re sure that you’ll find a specification to suit your needs. There’s also a range of stylish headboards in a choice of fashionable colours to add that finishing touch. The UK’s largest adjustable bed manufacturer and industry leader for lift and recline chairs is your one stop shop for adjustable beds, divan beds, upholstered bedsteads, occasional furniture and mobility chairs. Each piece of Furmanac furniture is handmade in our midlands based factory and has been designed to give the users the sublime level of comfort they deserve. The Harmony Ortho is one of our specialized Ortho Range. We’ve designed these beds to be firmer, adding an increased amount of Flex Support Foam that provides more stability for your back and hips. This bed is ideal for people who suffer from chronic back pain and other back- related problems. 1000 of our extra-firm L–Springs are layered into the core of this mattress, providing you with a more supportive feel. At Kaymed we have over a century’s expertise at the forefront of sleep technology. We are a leading innovator including the latest advances in Gel and visco-elastic technologies, all designed to combine sublime levels of comfort, industry leading pressure relief and sleep surface temperature regulation. As the only foam manufacturer in Ireland, across two sites in Dublin and Kilcullen, we are able to carefully and quickly develop bedding and components using cutting edge technology. We are proud to have a programme of constant innovation and product development, all using technology developed in house and exclusive to Kaymed. We don’t think you should have to pay the earth for beautiful, quality, luxurious beds, which is why Rest Assured offer unprecedented luxury at affordable prices. At Sealy, we have a very simple mission: to help all our customers become Deeper Sleepers. And it's so much more than just a hollow philosophy or something we hang on the walls. This mission literally drives everything we do. It's for this reason that we spend more on sleep research and product development than any other mattress brand in the world.